Malacca Crocodile Park (Taman Buaya) has been in operation since July 1987 and it is located along Ayer Keroh highway and it is right before Muzium Orang Asli. If you plan to go to the Malacca Crocodile Park, this place is right after the Ayer Keroh toll exit. 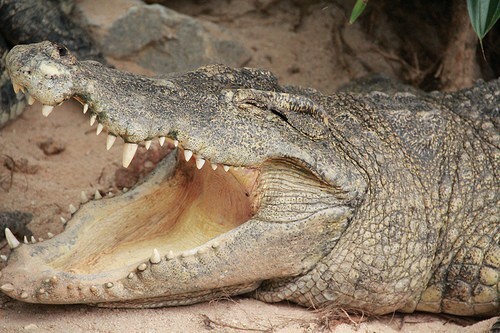 It has about 115 nos of crocodiles from 4 different species. It also has alligators. 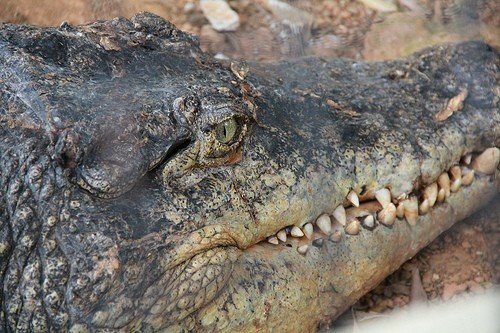 Just because the name of the park is Crocodile Park, it does not mean that the visitors can only see crocodiles in there. Besides crocodiles, there are also three other houses which place other reptiles such as Long Neck Turtle, Alligator Fish, Chinese Water Dragon, King Cobra and Alligator Snapping Turtle. The second house is the house of mammals which consist of Raccoon, South American Coati and Brazilian Green Iguana. Last but not least, there is a walk through aviary which place many species of birds such as San Conure and Love Birds. If it used to be only a place where you could see various species of crocodiles, there are some new attractions at this place. One of the new attractions is called Malaysia in Miniature. It is a place where 13 replica of historical monuments being place as a symbolic of 13 places of attractions in Malaysia. It is the same concept with Mini Malaysia to introduce our country to international visitors. Other than that, there is also children water playground. Sure enough that the children will have a fun time here because they can play around with water slide, water jet tunnel, water curtain, shower umbrella and a replica of waterfall. Apart from that, the Malacca Crocodile Park also has their own special attractions with some of interesting activities provided for visitors such as photography session with the baby crocodile “Diana” which acted in the film “Anna & The King”, Horse and Pony Rides, Mini Bikes for Tiny Tots, Haunted House, Train Rides into Jurassic World and also McDonald’s family restaurant available nearby. On weekend, there is also crocodile feeding session for visitors which starts at 11 a.m.
For more information about the visit to the Malacca Crocodile Park, kindly email to info@tamanbuayamelaka.com / tbrmelaka@gmail.com or you can just call at 06-2322349/06-2322350.